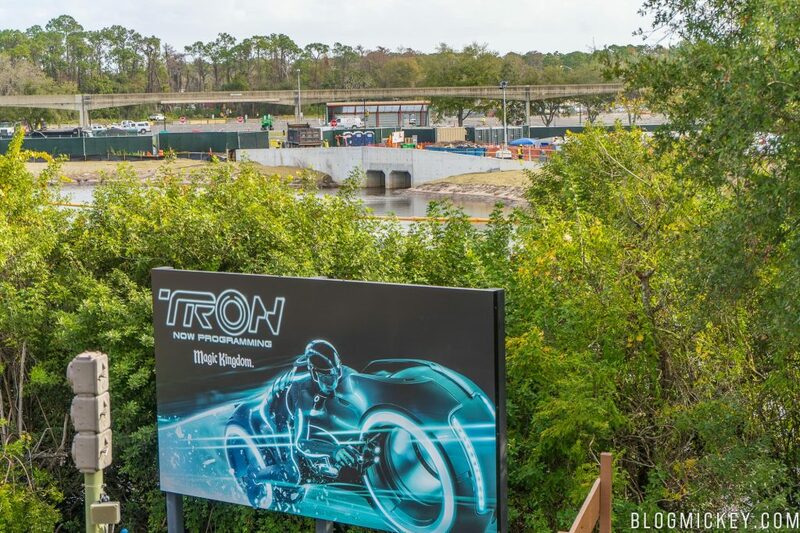 We made it out to Magic Kingdom this morning to get a new look at the progress on the TRON roller coaster coming to Tomorrowland. 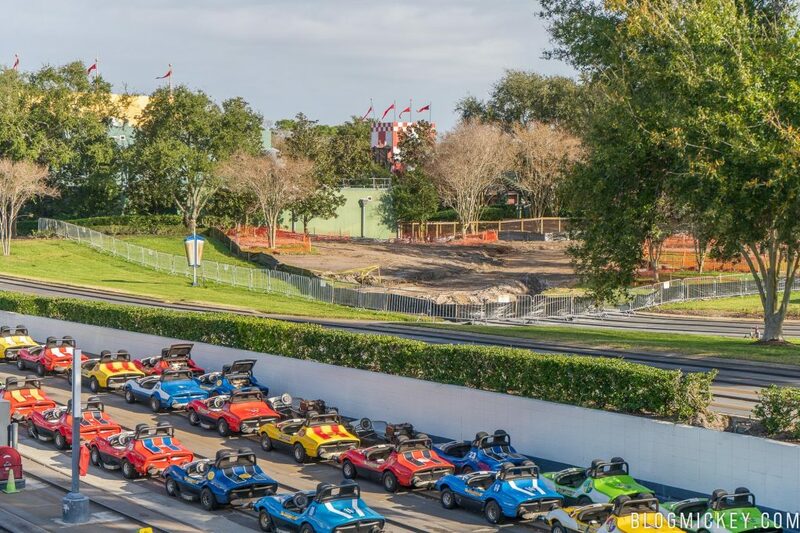 We’ll start with the expanded Tomorrowland Speedway demolition. 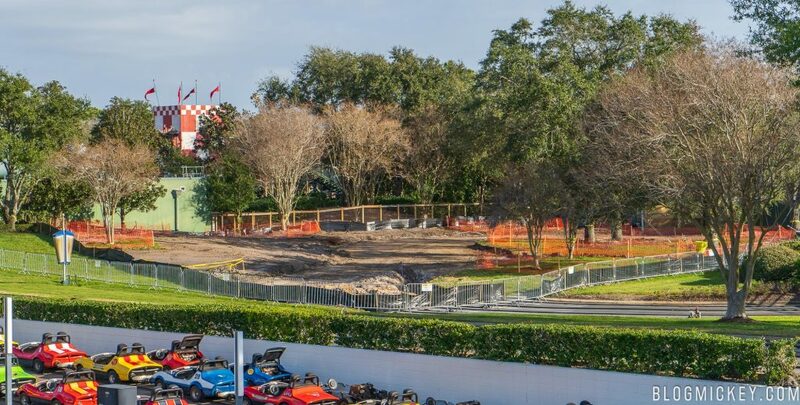 1/4 to 1/3rd of the track has now been demolished to support the giant canopy that will draw guests to the back of Tomorrowland to ride TRON. The demolition has gone up to the bridge, but it remains in one piece for now. 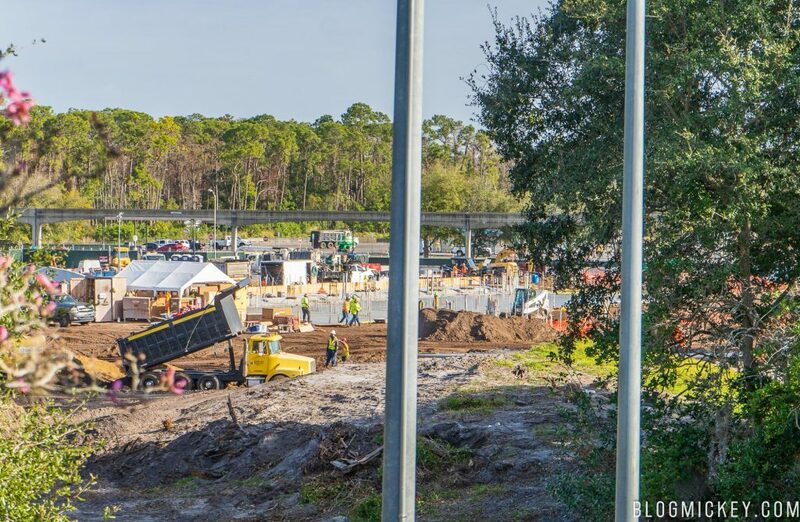 In addition to the Tomorrowland Speedway demolition, we also got a good look at a new concrete pour on the TRON roller coaster construction site. 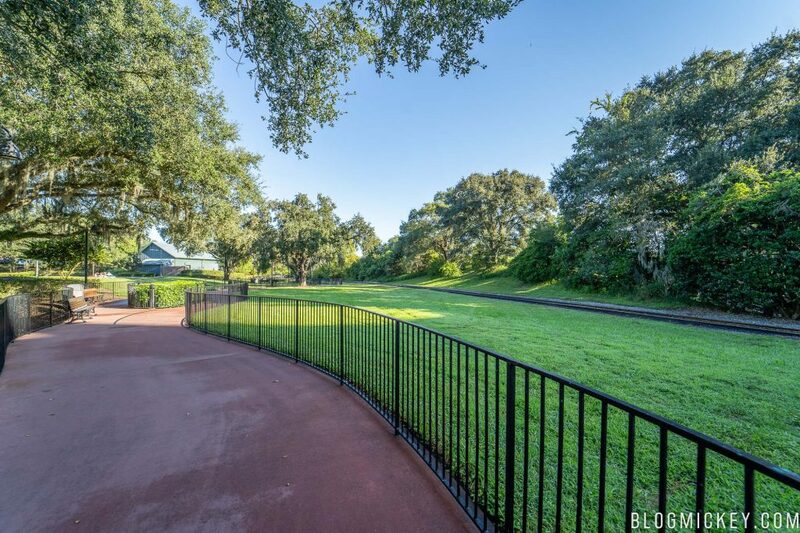 First, a wide look at what was once a quite walkway alongside the Walt Disney World Railroad train track. 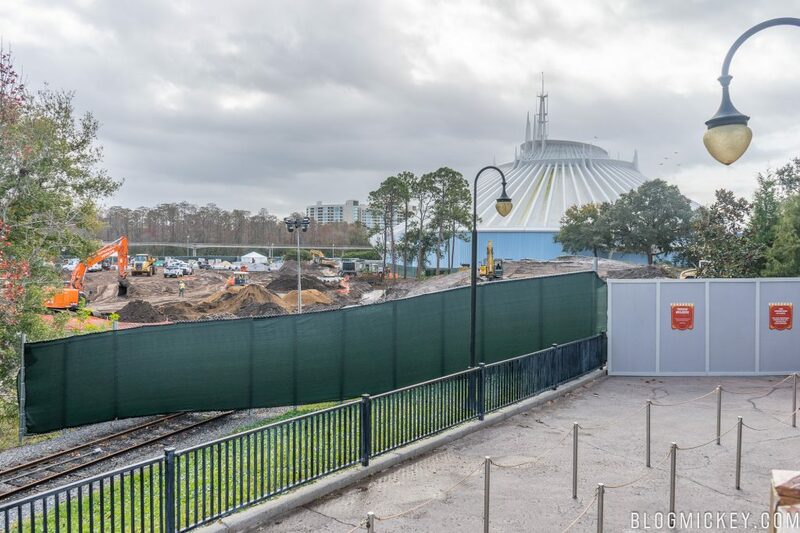 While riding the PeopleMover, there is a small window that gives us a look back to the TRON roller coaster site. 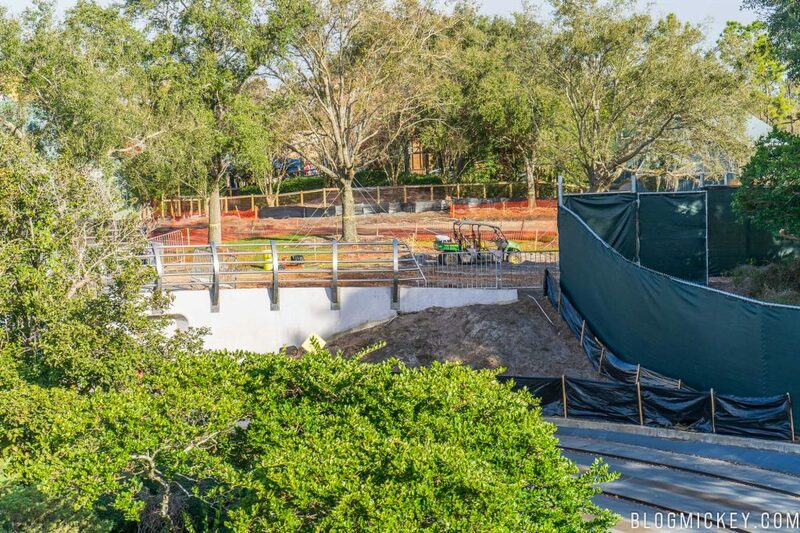 A new concrete pour can be seen. It’s unclear what part of the project the concrete pour is for at this point, but it doesn’t appear to be part of the main foundation on which the track will be built. 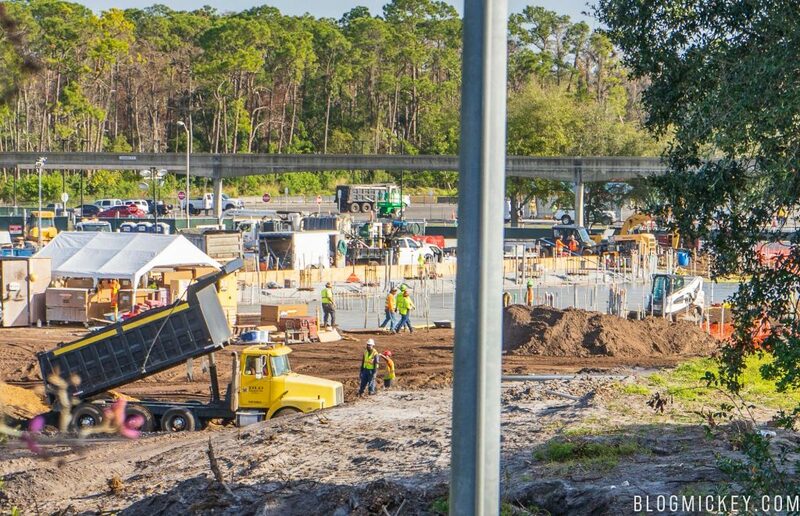 We decided to head over to Storybook Circus for a better look a the TRON roller coaster construction site. 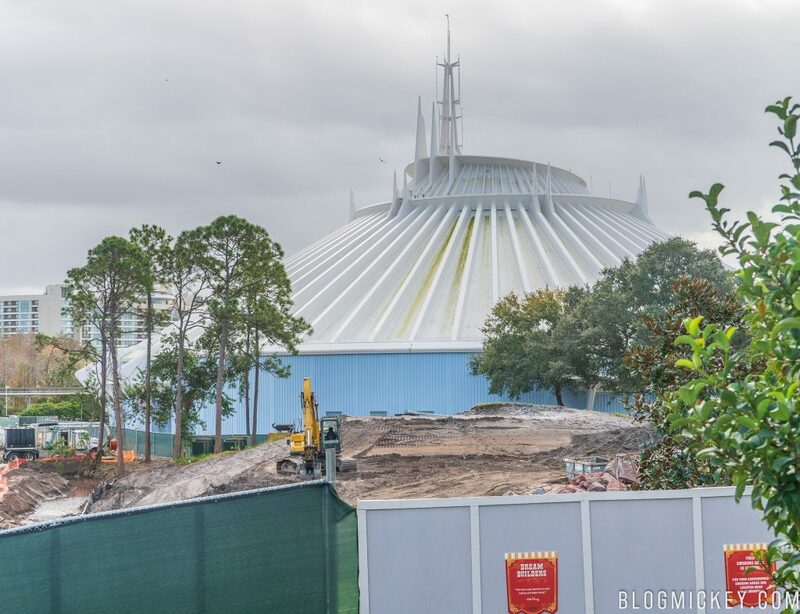 Here’s a look at the TRON construction and Space Mountain. 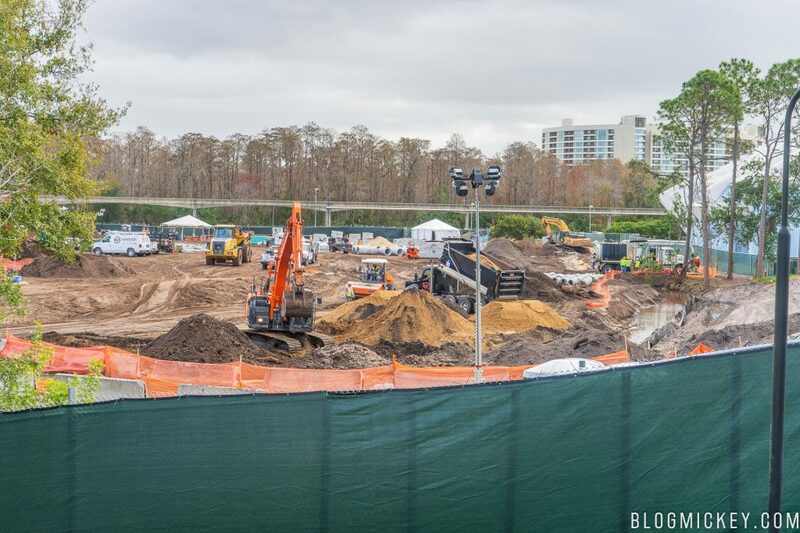 The area shown below will likely contain most of the foundation work for the roller coaster. It appears that site preparation work is still actively ongoing. The previous phase of the work included rerouting a canal. Crews have now replanted grass around the area, possibly signalling the end of the earthmoving and likely signalling the completion of that phase of the project. 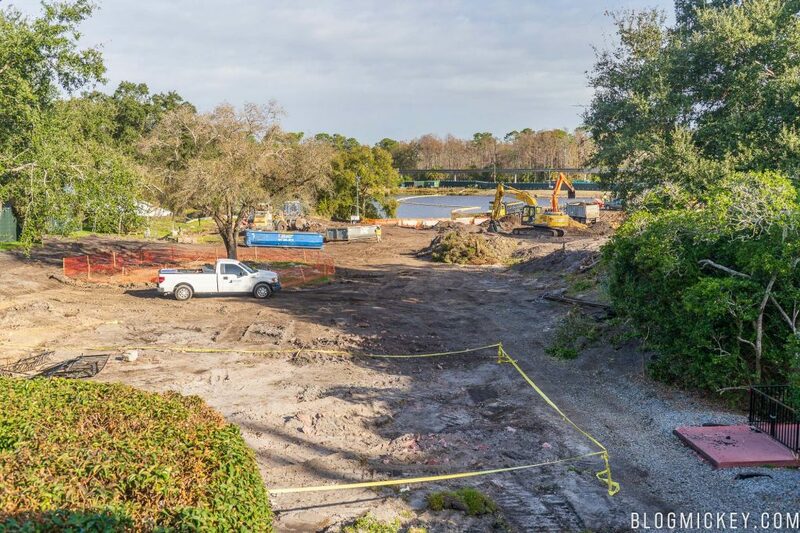 As a reminder, there is currently a pond expansion happening to the south of Space Mountain as part of the canal rerouting.